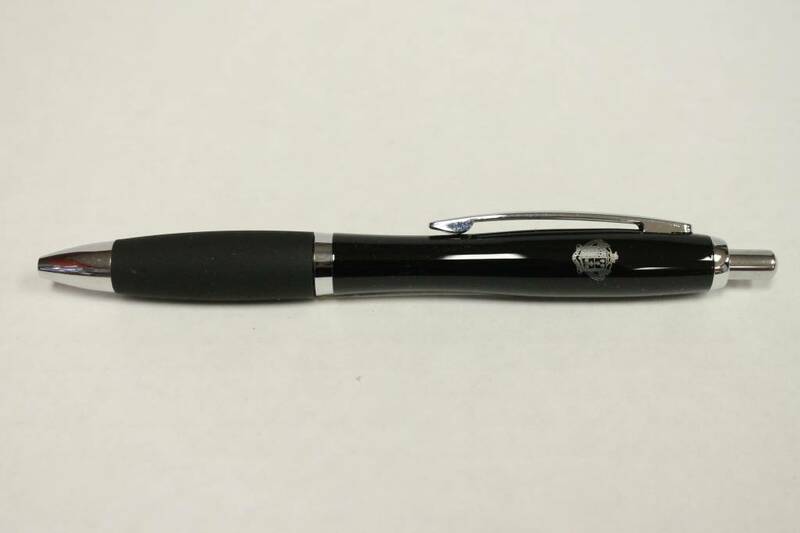 This is the Piedmont Pen with metal click action. It has chrome trim and a comfort grip. It is decorated with a laser engraved Ridley crest. Gift box.